Here are the best of the best places for couples in Vietnam. 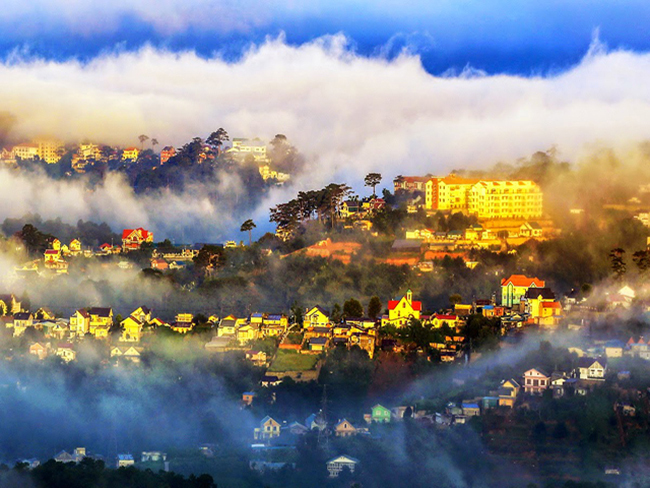 With irresistible classic beauty, Da Lat is known as the city of love in Vietnam. Coming to Da Lat, tourists will be charmed by its superb cool weather and pure atmosphere. The city gracefully nestles against immense pine forests and rolling hills. The mild climate creates favorable conditions for flowers flourishing in the green city.It is an ideal place for couples to stroll hand in hand on streets lined with trees, contemplating classic French colonial villas and poetic beauty of the Valley of Love. Taking a walk along romantic lakes and surveying the beauty of shining waterfall are also good ideas. To have an unforgettable night with your lover in the city of flowers, of mystery and of love, is not far away. Just by taking an overnight train from Hanoi and heading to Lao Cai and another hour bus ride to Sapa, you and your beloved are able to experience more than just a nice trip to the charming highland town. No matter what season tourists come to visit Sapa, they are bound to savor the great weather here. 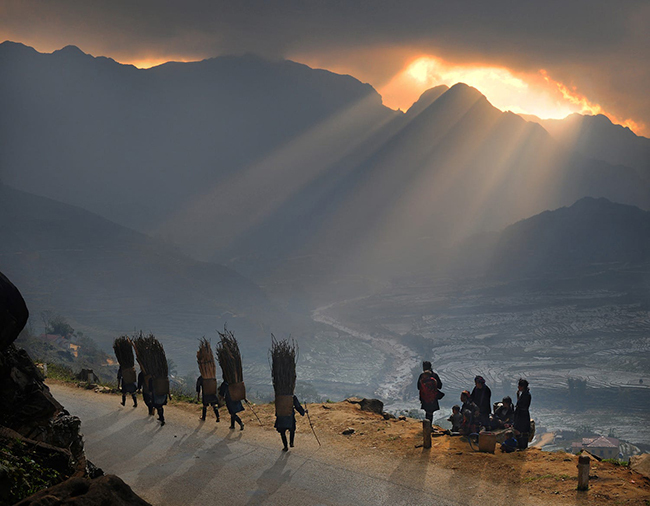 Located on the Mountain, Sapa and the local people have the opportunity to live in the cool fresh air all the time. Thus, it is an ideal destination for tourists who wish to run away from the hot weather of summer.Should tourists come here in the winter, they may admire a dreamy town covered with snow, as Sapa is the only place in the country that has snow. Getting up in a stilt house, contemplating an attractive Sapa in the morning dew, trekking around mountains under colorful sunshine, and immersing in Sapa lively nightlife should be on the must-to-do list of every couple. For couples longing to find romance by enjoying a dinner by candlelight on a sandy beach, Nha Trang would be a promising destination. With spectacular mountains dimly looming in the late afternoon sunshine, the turquoise waters tinged with sparkling sunset yellow, and the white sandy beach stretching into the distance, the setting is stunning. The eventful nightlife in Nha Trang is waiting for you to let your hair down. 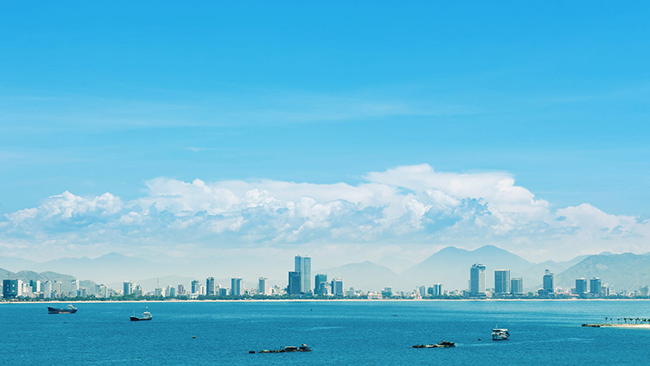 Savoring the best seafood, being part of night parties and forgetting about the time, you are likely to see how fantastic Nha Trang is. For couples looking for a luxurious holiday, Nha Trang high-quality resorts will certainly serve you well. A memorable holiday is coming!